A voice to rival Sarah? A happenstance visit to Barnes & Noble today and I stumbled upon this hypnotic beauty's music. Hayley Westenra's voice indeed rivals Sarah's (IMHO of course). The music is incredible - remotely poppy like Sarah, but kinda new age-y like Enya, but definitely not Enya. Check it out if you dare. Standouts include Never Saw Blue, Both Sides Now or My Heart Belongs To You. According to his web site, Roger Mannings's latest solo album, Solid State Warrior is officially being released on March 2nd by Pony Canyon Records in Japan. The album will be available as an import only from sites such as Amazon. Roger's website will not be carrying the album for sale. Finally! The only way you could get this previously was from weedshare.com, which only works with the pee cee. Stereogum's recent post on a new indie kids compilation called See You On The Moon! 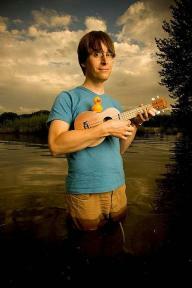 prompted me to finally post about a great Des Moines-bred artist named Justin Roberts. He is proof-positive that those of us with arguably a good taste in music who also happen to have kids do not have to settle for Barney, Wiggles, or god help us, Kidz Bop. I take my kids to and from school every day. When we aren't talking, rather than ignoring their interests by listening to my own music, I'll play Justin for them. The great thing about him is that I don't suffer at all. In fact, I find myself singing along to almost every song. And I also know that it is a great catalyst for my kids to grow a lifelong appreciation of great music like their dad. He doesn't sing down to them and doesn't insult their intelligence. The music does not have to be simple-minded just because it's for kids. He understands this and I respect him for that. And it simply is not kids' music, although lyrically it appeals to them. The music is outstanding too poppy material. Just pick one of his several CDs and you cannot go wrong, or wait until his new one (Meltdown!) comes out on March 21. iTunes has them all or you can order through his site. Check out Justin live when he comes close to your town. Your kids will love you for it, and there's nothing cooler than seeing your kids in their very first mosh pit. He'll be in Des Moines March 11. Related: Justin's collaborator is Liam and he has his own great pop band called Frisbie, with which I've been meaning to spend more time. Soon. For more cool kids' music, "because no one should have to listen to the wiggles, ever," check out the small ages blog. Would This Do To Make It Alright? Sweet. I'm very geeked about this. David Gilmour's new solo CD is coming out March 6, but you can download his new single, On An Island, straight from iTunes. From what I've heard so far, it sounds very Floydish, which really is what we all want. True, it lacks the edge of Roger Waters, but that reunion will likely never happen, in the studio anyway. For now, this will go far to please Gilmour-leaning Pink Floyd fans. There are plenty more interesting acts coming too, many of which I've never heard (but probably should). Get the list here and kudos to the Mews for bringing some great acts to Central Iowa that otherwise had nowhere else to go. Received the new Wisely CD from Not Lame this week. I won't complain about the crap digipack it came in. It seems too petty. In fact, I won't complain about anything. I'm not one to succumb to superlatives, particularly from Not Lame, who likes to give out "Very Highly Recommended" to every other disc (I do appreciate their passion though). After spending some good listening time to Parador, though, they got this one right. Well, I don't know if it's one of the best of the decade, but it's surprisingly damn good. Previous comments on falling somewhere between Michael Penn and Bleu are right on. I'd throw a dash of Jon Brion in there for good measure. What Penn lacks in pure pop sensibility and what Bleu lacks in depth can both be found on Parador. For those of you into this type of music, trust me, this is not one to miss (and it pisses me off that somehow I've missed out on him until now). Not an ounce of filler anywhere, and that is not true for 99.8% of CDs. After a couple listens, I'd Very Highly Recommend Too Quick To Love and especially Parador. And check it out: the Mews in Des Moines has him on May 5. Sweet. If you're already a Wisely fan and looking for a something a bit different, he's released another version of Parador with alternate takes of each song. Brilliant idea. Finally there is some firm news about the new Matthew Sweet & Susanna Hoffs CD of covers. Under the Covers Vol. 1 will be released April 18. Not surprisingly, you'll hear tunes by the Beatles, Neil Young, and Bob Dylan among others. Evidently, Sweet and Hoffs are old friends and were even members of that smashing, lovely, brilliant band Ming Tea. And, sigh, their first foray online is on MySpace. You can preview a couple tunes there. Sounds good, as you'd expect, if not a bit uninspired. Voices work well together though and I'm always thrilled to hear anything new from Sweet. Congratulations to U2 for their surprising wins last night on the Grammy Awards. It's well deserved as always, although I found their most recent album somewhat unsatisfying. But to see Mariah get beat all night was enough to make me smile. And dare I say that Kelly Clarkson deserved to win? WTF was Paul McCartney doing with that punk from Linkin Park and Jay-Z?! Macca, it's fine to seek new fans, but man, you gotta keep your dignity. Yikes. This is one of the things I hate about the Grammys. They just try too damn hard sometimes (see also Gorillaz and Madonna). I'm impressed with the Val Air Ballroom here in Des Moines. First they announced Wilco was coming on March 22. Now, it seems Ben Folds will be there on March 9. Sure, big-city visitors, laugh at us, but for two artists of their caliber to visit Des Moines within two weeks of each other at the same venue is something to be lauded. Wilco tickets are $28.50 and go on sale Friday, February 10 at 10am. Ben Folds tickets are $26.50 and go on sale tomorrow at noon. Sweet. It's been a couple of years since BF visited during the Drake Relays. He put on a great show, although I'm sure it was better back in the Five days. Bummer I have class that night. For the first time in 10 years I've found myself watching videos again. I've missed them. Through the zen of Tivo I've been watching Subterranean again on Mtv 2. Tom Vek was the guest and I really really liked C-C (You Set the Fire in Me). The video is crazy and the song is constantly running through my head. You can stream the video here and buy the digital here. 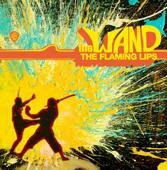 Like many of you I received my Flaming Lips tease today and decided to download their latest single W.A.N.D. from their new album At War With The Mystics due April 4. I've been losing hope lately but if this new single is anything like the rest of the album I'll be floored. It sounds like the perfect blend of Clouds Taste Metallic and Yoshimi Part 2. Get it here you won't regret it. Split Enz is regrouping for at least an Australian tour, if not a new album! For those who need a background on this very influential band, go to Trouser Press. To download my favorite Split Enz tune via iTunes, go here.